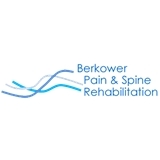 Berkower Pain & Spine Rehabilitation (Pembroke Pines) - Book Appointment Online! Our common goal at Berkower Pain and Spine Rehabilitation is restoring optimal function for people with injuries and illness. We aim at restoring active, pain-free lives. Some of the common conditions that Dr. Berkower treats include: Back Pain, Degenerative Disc Disease, Lumbar Spondylosis, Spondylolisthesis Lumbar Spinal Stenosis Neck Pain, Whiplash, Shoulder Pain, Arm Pain Radiculopathy Sciatic Pain, Piriformus Syndrome Facet Syndrome Headaches Fibromyalgia Postlaminectomy Syndrome Carpal Tunnel Syndrome, Trigger Fingers Bursitis in the shoulder and hip, leg pain, hip pain, knee pain Sacroiliac Dysfunction Arthritis, Neuropathies Herniated Discs Accurate diagnosis leads to management of pain. With such a variety of causes, it is important to identify the root causes of your back and neck pain. With a combination of clinical examination, X-Rays, and MRI's we can diagnose and manage your rehabilitation. We also perform our own specialized tests to further pinpoint and diagnose the cause of concern. Two of these tests performed in the office include the EMG and Lumbar Discography. EMG or electromyography is composed of two tests, the NCS (Nerve Conduction Test) and the Electromyography. These tests help examine the physiology of the nerves. They can be used to detect abnormal electrical activity of muscle that can occur in many diseases and conditions, including muscular dystrophy, inflammation of muscles, pinched nerves, peripheral nerve damage (damage to nerves in the arms and legs), amyotrophic lateral sclerosis (ALS), disc herniations, and others. Lumbar discography is a procedure in which a needle is placed into the disc at two or more levels to pressurize and determine whether or not a specific disc is the source of pain. Is the pain coming from the L4/5 disc or the L5/S1 disc? The procedure is performed with intermittent x-ray. Once the needles are in the center of each disc, contrast is injected into the disc. This is a purely diagnostic test.